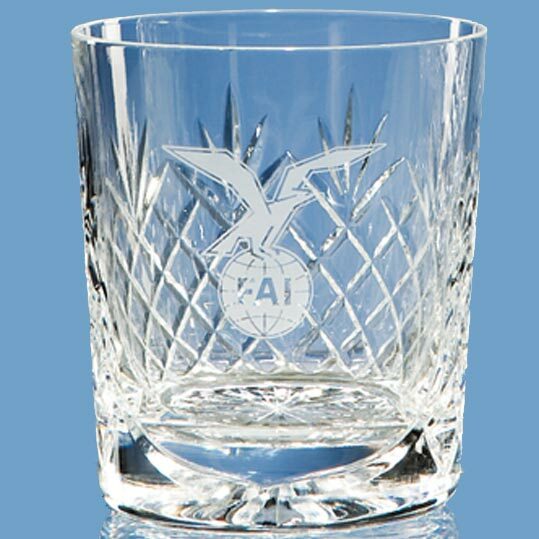 The lead crystal Durham whisky tumbler is traditional in style and has a diamond cut design with large engraving panel. It can be personalised with any crest, logo or wording to create a gift that is sure to take pride of place when put on display at home or at work. There are also goblets, champagne flutes, red wine glasses, brandy glasses and high ball tumblers available in the Durham range.